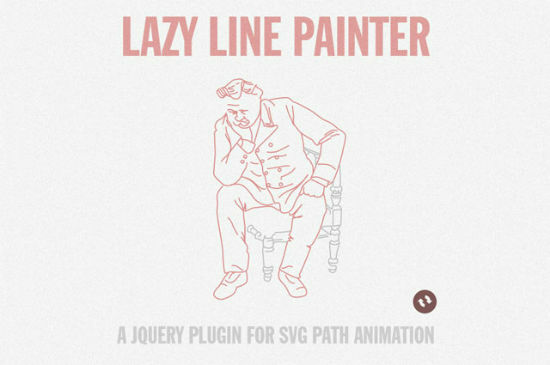 That’s the way the tool works: If you want to transform an image into an animation, Lazy Line Painter requires it to be an SVG. Applications such as Illustrator offer export functionality for this format. Images are not allowed to consist of closed paths. Shapes and gradients are off-limits. Other closed paths, foremost circles and rectangles have to prepared in advance. It is sufficient to open them at one point. Optically you will not notice any difference. But for the plugin, the difference is essential. It uses the gap in the path for the definition of start and end. You will need to integratejQuery for the plugin to run. The Raphaël library is also required, as it provides special functions for the drawing of SVG. Conclusion: It only takes very little effort to have Lazy Line Painter draw complex graphics inside a browser without requiring changes to the image to be animated.